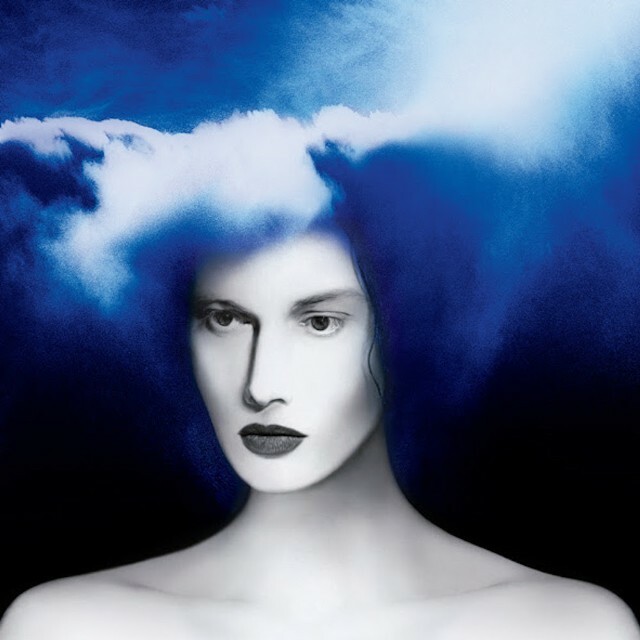 If Jack White cannot get to the point on his third solo effort Boarding House Reach, we will: this album is a mess. It’s not the fussed-over mess of, say, a late-period Of Montreal record; neither is it a mess like the nod-off longueurs of ‘70s Sly Stone (though there are ghosts of the latter). It’s more like the clutter a grifter leaves behind when he skips town: a motel room littered with diagrams and notes on index cards. As a solo artist and bandleader, White has been a master of patter, getting over with putdowns as lacerating as his riffs. For someone as appreciative of Old Weird America, there’s very little mystery in his songs–even the excellent ones, of which there are many–but there is a lot of hokum. And three years removed from his last full-length (the Dead Weather’s menacing Dodge and Burn), White has much more of the stuff to deploy. The famously fastidious White grew up in a DIY age, and thus had to invent his own constrictors: essentialist color schemes, cheap guitars, mixing albums in real time. For every indulgence he’s allowed himself here–better gear! Pro Tools!–there is a cuff. He demoed the record in a rented room with a cot and a four-track, consciously mimicking the setup of his youth. He also tried to write not by recording riffs or humming fragments, but by conjuring the parts in his brain, like Michael Jackson. But the results don’t resemble the King’s hits nearly as much as Prince’s demos. On “Ice Station Zebra,” he sprinkles piano vamps over a backbeat that alternates between double-kick breakdowns and Golden Age lope. Then, he raps. He raps about critics being wrong (“Who picked the label doesn’t want to be responsible”), he raps about critics being right (“Everyone creating is a member of the family/Passing down genes and ideas in harmony”), he raps about being compared to Caravaggio. He sidles even closer to the Purple One on “Corporation,” which arrives on an “Immigrant Song” beat and swings wide on a clavinet approximate. It’s dastardly funky, loaded with breaks and thick guitar squall; when White hollers “I’m thinking about starting a corporation/Who’s with me?,” I want to start drawing up the paperwork. The track is followed by “Over and Over and Over,” a parolee from the vault (Jay-Z and Kanye reportedly worked on an early version). White’s frizzled riff is so indelible, it deflects clunky couplets like “Hollow body/Wine belly perfidy”. These tracks–along with “Hypermisophonia,” all skitters and bug-eyed synth leers and pitched-up vocals–form the sturdy spine of Boarding House Reach. All around them, though? More bones. “Why Walk a Dog?” is an anti-pet dirge, all nightmare organ and stoner postulates. The spare country-soul of “What’s Done Is Done,” a duet with Esther Rose that features Autolux’s Carla Azar doing her best impression of a laconic drum machine, could’ve used some of the ol’ fastidiousness: a would-be punchline “I just can’t fight it no more/So, I’m walking downtown to the store/And I’m buying a gun” lands softly in the first verse. Still, it’s a song, rather than sleight-of-hand. “Respect Commander” pads a two-minute bloozy love song with guitar pyro and a protracted intro loaded with orchestral hits and motorik jazz-funk. On “Get in the Mind Shaft,” White intones an origin story (“I found an old piano/I didn’t know how to play piano”) over New Age padding, chasing it with narcotic, loungy funk and heavily treated vocals. Sly should be proud. White does himself one better on “Abulia and Akrasia,” a entirely spoken-word cut loaded with two-dollar words from King Hokum himself, Australian bluesman C.W. Stoneman. “Abulia and Akrasia,” like Boarding House Ranch as a whole, is an oddball move feinting at true weirdness. Jack may never truly fly that freak flag: he’s too busy being a father, interviewing Gary Oldman, and clogging Discogs with Third Man one-offs from the likes of John Waters and Kirk Gibson. There’s no Like Flies on Sherbert in White’s future. And that’s fine. His gifts were not made to be unpacked and spread across the room. After 11 tracks of pivoting from electronic squiggle to funky interplay to recitation, White concludes with “Humoresque,” a Dvorák riff from the sheet-music era. He handles it carefully and without a hint of corn, gently lowering it into an eddy of pensive piano jazz. For Jack White, the most gonzo move is, perhaps, just to sit still.